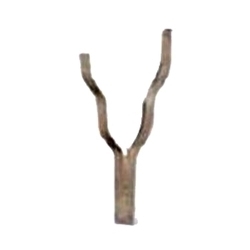 Refractory Anchors are used in various industries, available with us in plates, hangers, hanger bolts and studs are highly appreciated by our clients. They are available in various sizes and grades as per the specifications given by our clients such as 304, 316, 310, 321 & 330 and also in carbon steel and alloy steel in standard grades and a thickness range of 3 mm to 12 mm. We offer them at reasonable prices. This is produced using premium quality materials and according to the quality standards. We are engaged in offering comprehensive ranges of Refractory Anchors which are made of high quality material. Clients can access these anchors in various sizes and grades like 304, 316, 310, 321 & 330 and also in carbon steel and alloy steel in standard grades and a thickness range of 3 mm to 12 mm at cost effective prices as per standard norms. Further, with the help of latest technology the entire range is made as per the demands and specifications of our clients. We offer these in expanded metal, hex steel grid and special grid and in forms, such as V Shape, Y Shape and Crook anchors. Grades : 304, 310, 330 and 321. Form : alloy steel and carbon steel. 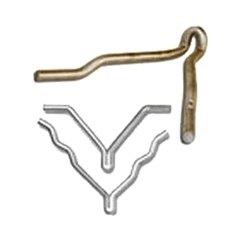 We export Y Shape Anchor which is precisely engineered by the experts and is widely acclaimed by the clients for its efficient and smooth performance. They are used in various industrial applications. These are available at a cost effective price. These anchors are available various specifications in different sizes based on the requirement of the customer. Looking for Refractory Anchors ?